This is part of a series of interviews with inspiring travelers. 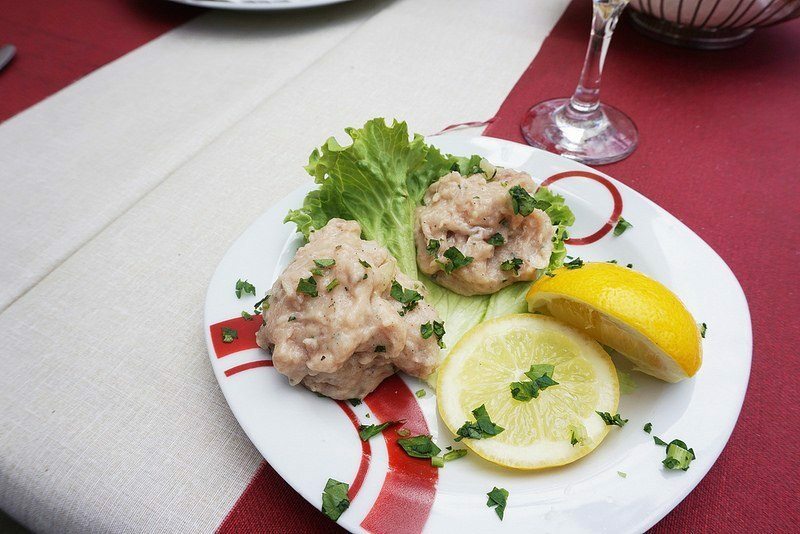 Today’s interview comes from Gigi Griffis about her Dubrovnik food tour. See more about tours and tour reviews here. All photos are by Gigi. Hey – I’m Gigi, a writer and web consultant traveling the world full-time with my pint-sized pooch, Luna, and my partner, Chad. I’ve been traveling internationally almost every year since I was 14 and have been on the road full-time for almost five years. In that time, I’ve hit every continent except Antarctica and I’ve fallen deeply in love with Europe, where I plan on getting residency and establishing a home base sometime in the next couple years. Today, I’m writing from Dubrovnik, Croatia, and in a couple weeks we’re off to spend the summer in Bosnia. Our tour – via Dubrovnik Food Tours – was within the walls of old town Dubrovnik. There were five official stops, but when our tour guide saw that his friends were selling fresh oysters in the square, he took us on a cool detour to have some, making the grand total of stops six. The tour started at 11 and we got home around 3 p.m., so subtracting the travel time to get back to our place (outside the city), we spent about 3.5 hours with our guide. The pace was nice and relaxed. Dubrovnik Food Tours was honestly the only food tour company we could find in Dubrovnik. 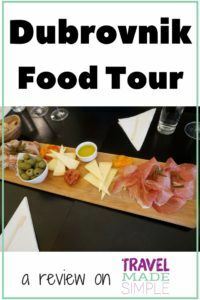 We LOVE food tours and knew we wanted to take one and that made choosing pretty easy. What did you like about the Dubrovnik food tour? What was your favorite part? My favorite was the cute little wine bar where we tried local wines, meats, cheeses, and this to-die-for red pepper spread. We’re actually going back there tomorrow for a tapas night with friends passing through town. I also really enjoyed the extremely fresh tuna tartare and the detour for fresh oysters, which felt fun and spontaneous and wild. 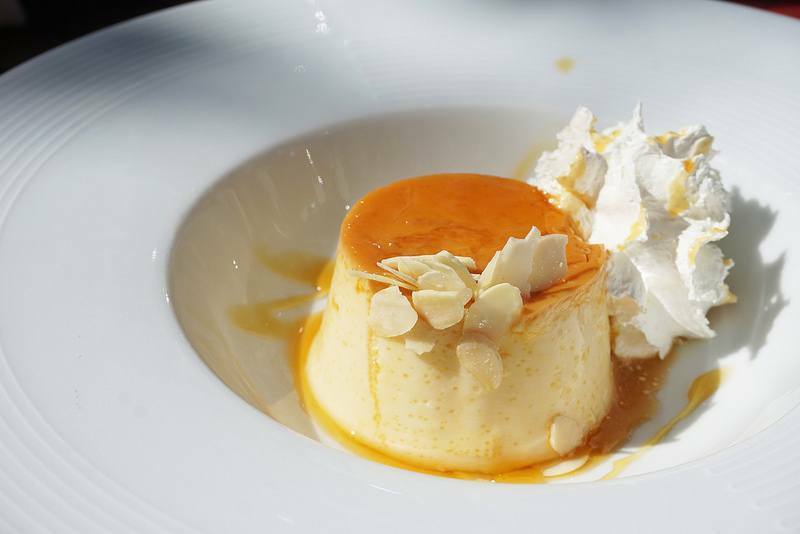 What did you learn about Dubrovnik from the food tour? Our guide was born and raised in Dubrovnik and, being in his 30s/40s, that means he remembers the siege on the city vividly. It was sad and fascinating to hear him describe being trapped inside the city walls and collecting rainwater to drink. Personally, I thought the dessert was mediocre…but I don’t think it’s that the tour didn’t pick a good place. I think it’s just not my type of dessert (I’ve had it twice here in Dubrovnik since it’s something of a signature dish and didn’t particularly like it either time). 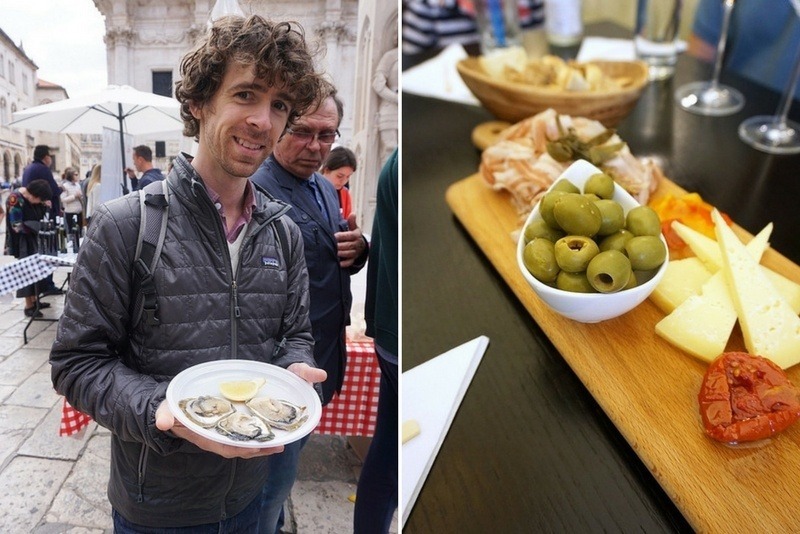 What was your favorite food on the Dubrovnik food tour? Probably the local spread at the wine bar (everything on it, from the red pepper sauce to the meats). What inspired you to take the Dubrovnik food tour or travel to Croatia? Dubrovnik has been on my to-see list forever. And since we’d just spent three months in Italy (which, as Americans, means we had to leave the Schengen zone for three months) and Croatia is outside the Schengen zone, we decided to head this way. Would you recommend the Dubrovnik food tour? Would you change anything about it? Absolutely! I love getting to know a place through its food and this is how we found our favorite local places (all the blog posts and big magazine articles I read sent us to places that disappointed). Do make sure to ask the guide about his experiences living inside the walls both now and during the war. Yes! Tours in general are great for new travelers and solo travelers. 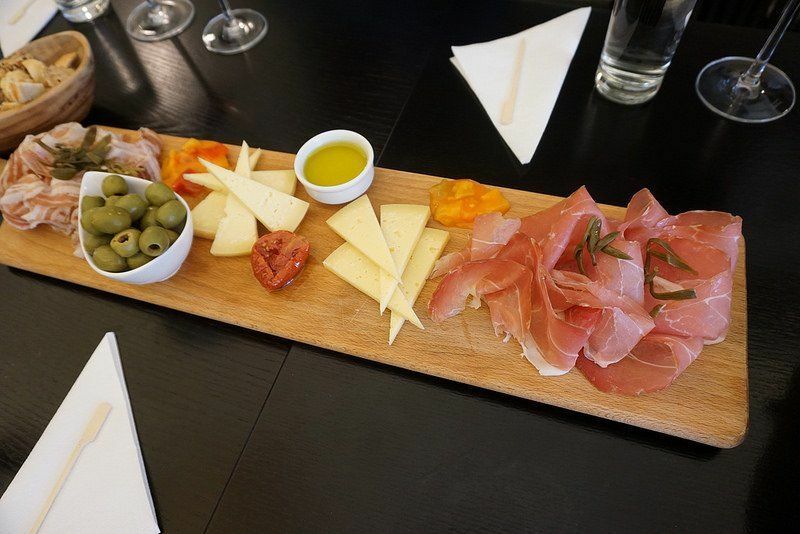 You’ll meet other travelers, get to know a tiny bit about history and culture, try a bunch of different foods, and maybe find your favorite wine bar. 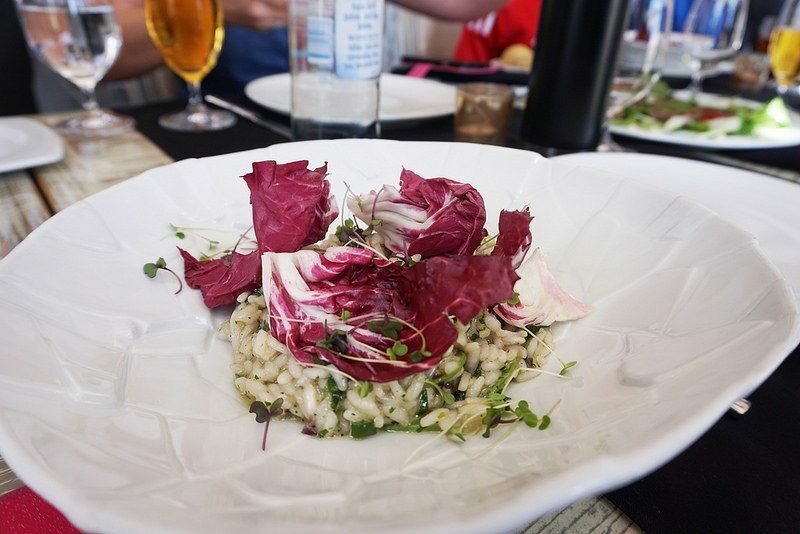 Check out Dubrovnik Food Tours for more info, and search for more Dubrovnik tours on Viator. About the author: Gigi Griffis is a world-traveling entrepreneur and writer with a special love for inspiring stories, new places, and living in the moment. In May 2012, she sold her stuff and took to the road with a growing business and a pint-sized pooch. She blogs at gigigriffis.com and has authored 11 unconventional travel guides in the last two years. Check them out on Amazon here or the full color versions through Gigi’s site here. Dubrovnik Food Tours provided Gigi with a complimentary tour but all opinions are her own. Dubrovnik sounds like an amazing place to go on a food tour … will definitely have to try that out!